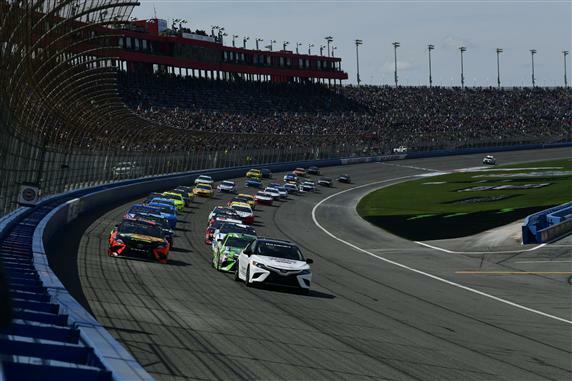 The MENCS will compete outside of L.A. this week at Auto Club Speedway. The series will use the aero package which was used at Las Vegas. This means there should be closer racing and probably more wrecks. Some of the drivers are having a hard time running over the seams without crashing. The race should be fun to watch this week. The Auto Club 400 is scheduled for 3:30 p.m. ET on Fox. One of the changes this season for the Driver Group Game is that your league commissioner has the ability to change to number of allocations for each driver and can place drivers into any group they choose. My picks will be based on the default settings (8 allocations per driver and the original group settings). Joey Logano (7): Logano has never won at Auto Club but that could change Sunday. Logano qualified 5th and posttest the 6th fastest speed in final practice. He also had the fastest 15-lap speed and fastest 20-lap speed. The word in the garage is that the No. 22 is the car to beat this week. Logano won the last race (Las Vegas) using this aero package. He is my pick to win Sunday. Aric Almirola (6): Almirola has finished every race since last August on 1.5-mile or 2-mile ovals in the top 10. He should add another top-10 to the list Sunday. Almirola qualified 3rd and track position is very important at Auto Club. He posted the 4th fastest speed in final practice. Almirola finished 8th at Atlanta, 7th at Las Vegas and 4th at Phoenix. He is running too well right now to leave on the bench. Ryan Blaney (7): Blaney did not have much luck at Atlanta or Las Vegas using this aero package but he should be much better Sunday. Blaney qualified 10th so he should be able to stay up front and score some Stage points. Blaney posted the 5th fastest speed in final practice with the 2nd fastest 10-lap speed. The No. 12 car looks fast so I will use an allocation with Blaney Sunday. Daniel Hemric (6): The Richard Childress Racing cars have been very fast in qualifying this season. Austin Dillon won the pole Friday but Hemric was not able to have the same success. He will start 17th but he should be able to finish in the top 15. Hemric is one of the best young drivers at saving his tires over a long run. That will be important this week. Hemric posted the 2nd fastest speed in final practice with the fastest 10-lap speed. His car is fast so we need to use another allocation with the No. 8 car.